Discover how cranial sacral therapy can enhance your practice. This wonderful class will show you how to balance each of the cranial bones and sacrum using 22 techniques. 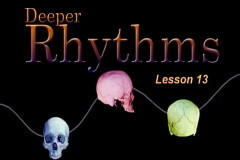 Divided into 13 lessons, each lesson focuses on a different bone or aspect of cranial technique. 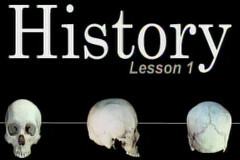 The first three lessons cover the history, anatomy and technique fundamentals. The next 9 lessons cover a specific bone, its' motion, common dysfunction, and detailed, clearly demonstrated techniques. 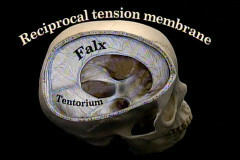 The last lesson discusses advanced topics in cranial therapy. Stunning visuals add to the presentation making learning cranial-sacral therapy easy. This lesson discusses the history of cranial sacral therapy and specifically the story about William Sutherland’s discovery of the movement of the cranial bones. 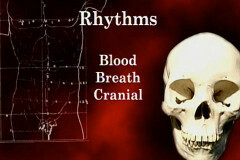 This lesson explores the anatomy of the cranial system. This includes the reciprocal tension membrane, the names and locations of each cranial bone, the structure of bone, the cranial sutures, the duramater, the dural tube, the ventricles and more. This lesson discusses both direct and indirect technique, the correct amount of pressure, and using a fulcrum. Mary then discusses the four possible outcomes of a cranial hold- release, unwinding, still point and no change. Next Mary discusses presence and then leads an exercise to experience the work. 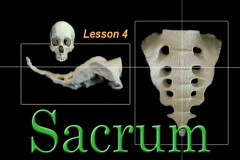 This lesson shows the location, anatomy and movement of the sacrum. Then this lesson discusses how sacral restriction can cause sinusitis, migraines, back pain and more. Then 3 sacral releases are demonstrated. 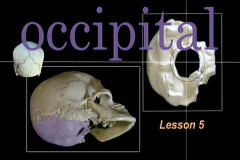 This lesson shows the location, anatomy, movement pattern, and articulation of the occipital bone with other bones. Next 3 occipital techniques are demonstrated: cranial base release, 4th ventricle release, and still point induction. This lesson shows the location, anatomy and movement pattern of the sphenoid, as well as it’s articulation with other bones. Then Mary discusses some possible symptoms of a stuck sphenoid which can include headaches, sinusitis, back pain, learning disabilities, tmj dysfunction and vision problems. Next 4 techniques are demonstrated: basic release, motion testing, coronal shear and Sutherland’s grip. This lesson shows the location, anatomy and motion of the temporal bone, as well as it’s attachment to other bones and the tentorium cerebelli. Next Mary discusses the symptoms of a stuck temporal bone- vertigo, dizziness, and general ill-health. Finally Mary demonstrates two temporal bone techniques: ear pull- decompression and palming- compression. This lesson shows the anatomy, location movement pattern of the parietal bones, and their articulation with the other bones. Then the main parietal technique is demonstrated. 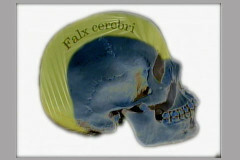 This lesson shows the location, anatomy and motion of the frontal bone, as well as it’s articulation with the surrounding bones and the relationship to the falx cerebri. Mary then shows how to perform a frontal decompression, how to balance the glabella and bregma, and finally how to perform the frontal and viscero-cranium technique. 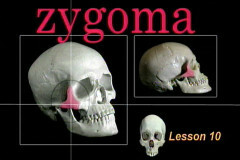 This lesson shows the anatomy, location and movement of the zygoma. Then Mary discusses issues that can affect the movement of the zygoma, including dental truama, injury or sinus issues. Finally Mary demonstrates the main Zygoma release, called palpation. 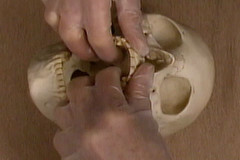 This lesson shows the anatomy, location, connection and movement of the maxilla. Then Mary discusses symptoms of maxilla restriction, including eye socket headaches, cluster headaches, migraines, and sinus congestion. She then shows the maxilla technique, which is done inside the mouth wearing gloves. 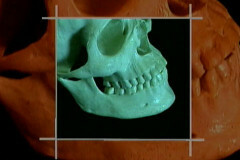 This lesson shows the location, anatomy, movement and connections of the mandible. Then Mary discusses how tension held in the mandible can contribute to headaches, respiratory inhibition and general muscular tension. She then discusses the jaw in relationship to our identity. Finally she demonstrates 3 techniques: palming, inter-oral 2 hands, and inter-oral 1 hand technique. This lesson discusses the basic cranial technique and the various cranial rhythms that can be felt. She discusses deep stillness and practice.